If you think that camping is just sitting around the campfire and eating hot dogs and roasting marshmallow…well, those are some of the best things, but certainly not all there is to camping. There are so many fun things to do for young adults, couples, and families that you will not be at a loss when camping. If you have never gone fishing before, here is your chance to do it and do it up big. Fishing in your hometown is probably nothing compared to fishing in some of the greatest camping lakes around. Once you have experienced hooking your first fish, you will be hooked forever. Before you go stargazing, get a book or two on the subject or do some research online. Get to know what you want to look for and then begin your search. You will be absolutely amazed at what you will discover in searching for different things in the galaxy. It can be absolutely habit forming. An old-fashioned scavenger hunt while camping is one of the most fun things you can do with your family. You can even have an adult scavenger hunt if you are really creative. Hiking while out camping is a great way to break up the day. You can also collect things along the way and look at all the different species of plants and even rocks. There is nothing better than an early morning bike ride to get your appetite up and your circulation going. Chances are that your campsite has a pond or lake for swimming. There is nothing as refreshing as a swim in a lake surrounded by mountains, hills, and valleys. If you are getting weary about eating around the campfire or too much barbeque food, then a picnic with fresh sandwiches is the best way to go. A picnic can offer a form of pleasure and relaxation all rolled into one. A picnic provides an opportunity to take a break from the more rugged camping style and allows you to sit back and enjoy a beautiful meadow while lying on your back staring up at the sky. Boating or kayaking are great ways to get out and see the path down the river while camping. It will take you away from all the dirt roads and muddy pathways and down a crystal-clear sparkling lake or river on your own adventure. 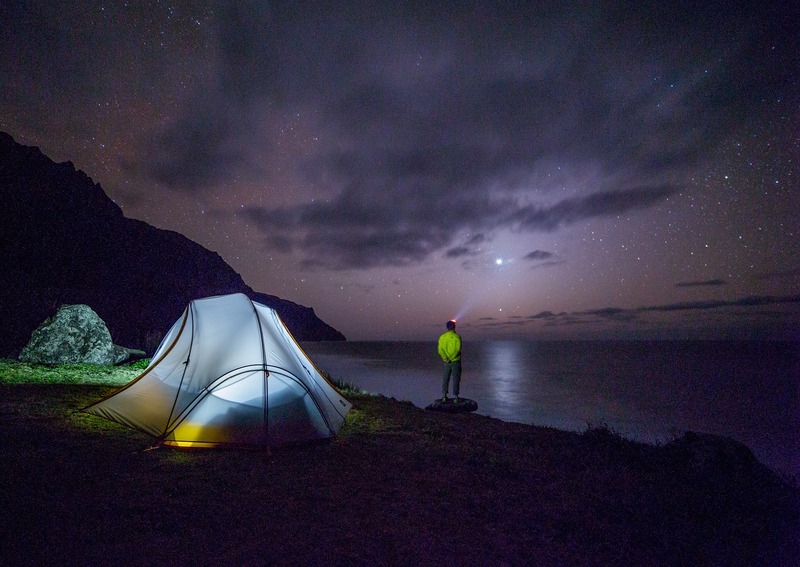 These are only a handful of things that you can do while camping. Again, these things are appropriate for couples, singles, families, and children of all ages.